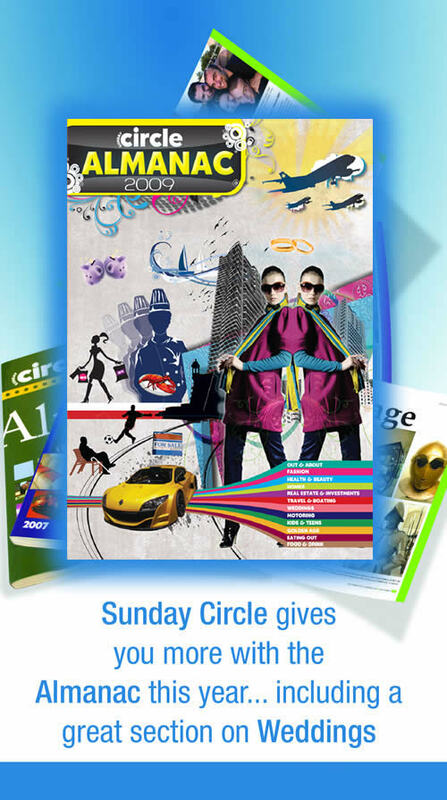 The Sunday Circle Almanac is back! This year sees the fifth edition of the annual reference handbook. Packed full of indispensable information on a hugely wide variety of topics, the Sunday Circle Almanac is the essential guide to living in Malta, from city guides and eating out, to wedding chapels and information on schools. The Almanac covers just about everything you need. Included amongst these useful facts and guides are an array of interesting and informative articles written by our editorial team, guaranteed to give you useful lifestyle tips on everything from fashion to gardening. Our wedding section includes an article about the various wedding chapels around the island, as well as a guide to choosing the right style of wedding dress for your day and a summary of wedding etiquette to make the big day go smoothly. We also took a look at some of the high profile weddings of the year, including the wedding of the daughter of our President, George Abela, with pictures of the special day. For something a little different, we have also included an interview with a marriage counselor to give a little insight into the reality of life after the wedding. The Almanac can be used as a directory, as well as a fun magazine to pass away some quiet afternoons, all of which has made the Almanac a household name throughout the island. Arranged into sections and subsections, the layout of the magazine makes it easy to find information on the subject you’re looking for. It’s perfect for islanders and tourists alike – with issues found in top hotels around the nation. Keep it all year round as a useful guide for life on the island. So don’t forget to pick yours up with the Times of Malta on Saturday 28th November – free! Ask your newsagent to reserve you a copy today.